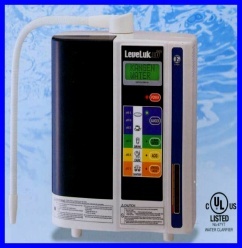 This water will give you alkaline water for drinking. This is the smoothest and softest water I have ever known, it’s like velvet. Most diseases start with acidity and progress from there. By keeping your body alkaline and drinking at least 2 litres of Kangen water per day it will help steer you away from disease. It produces 5 different kinds of water and as well as the nicest drinking water you ever tasted. You can also reduce your cleaning bills. It can save a company thousands every year on cleaning and on household bills. Its safe and is a lifestyle choice for better health. Acid water (2.5) to be used for cleaning worktops and floors has antibacterial effect. Its too acidic for bacteria to live in. Contact the Clinic for further brochure and further information.